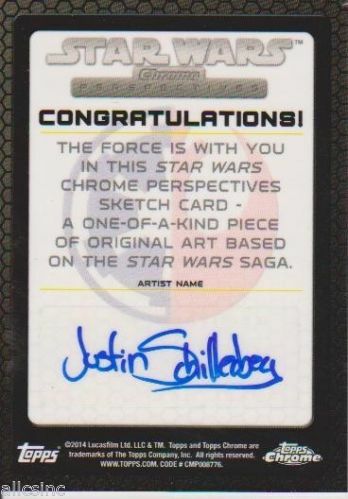 I really like this sketch card but i can’t make out the name. It looks like Justin Schillebey. This one is available for a much more reasonable price but it went over my limit, so I’ll have to pass. Can anyone let me know the correct spelling for the artist? 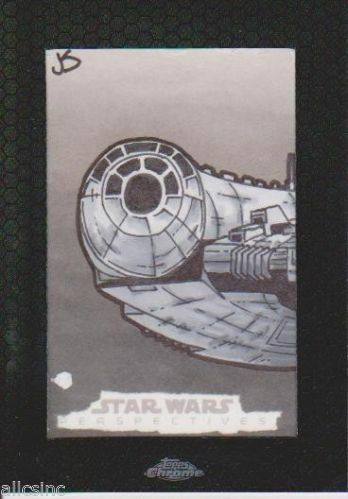 This entry was posted in Art, Things that i don't have yet..., Trading Cards and tagged Art, Millenium Falcon, Millennium Falcon, Star Wars, Topps Perspectives. Bookmark the permalink.